I have become increasingly concerned with the all too obvious bias of the BBC as it pushes out endless propaganda at the tax payers’ expense funded both by grtants and loans of the tax payers via EU profligacy in support of BBC propaganda and support for the EU endlessly publishing ill informed reports regarding the EU, of a very biased nature AND demanding more money from the tax payer via a very thinly disguised tax presented as the annual license fee. To pretend this is not a tax is just dishonest – at least the annual license for vehicles to use the road is called a ‘Road Tax’, really there is no difference between these two taxes they are a levy for use and thus a tax. Concern at this clear bias from the BBC I now note they are now seemingly openly indulging in censorship – what next are we to expect in terms of mind control – will it be book burning and the banning of distribution of books that do not fit the bias of libraries. schools, government and corrupt pressure groups? Well the BBC seem to have taken a massive leap in this direction with their movie THE MARCH! I keep returning to this site in the hope that Niall will find a new lease of energy and continue his fight for balance and integrity in the BBC. Consider the excellent Juliet Stevenson movie ‘THE MARCH’ 1hr. 54mins. long believed to be one of the most expensive productions the BBC had ever made when it was shown ONCE in 1990! That it has been pulled from You Tube and seemes and has never been readily available on VHS at the time nor on DVD subsequently looks all too much like censorship! It looks as if this superb and prophetic movie no longer suits the BBC Bias, its obvious left wing clap trap and its endless propaganda and clear pro EU stance in defiance of the democratic vote for BreXit. Surely, we who are forced to fund the EU subsidised BBC out of our taxes AND pay an annual tax to support them should expect ethical integrity and not PC propaganda and censorship for OUR money! 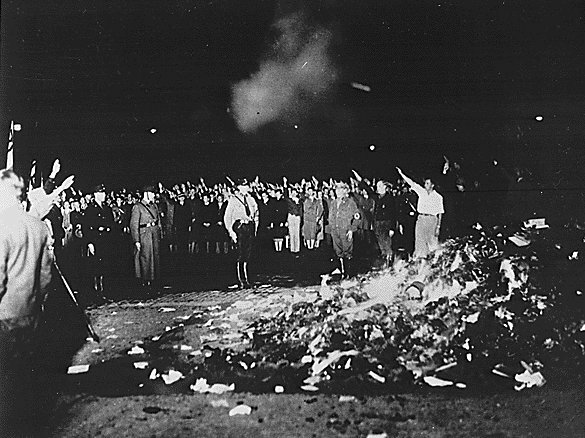 IF this policy is allowed to continue are we to expect book burning next? We already have people like Robin Page, David Belamy and others forcedf off of the airwaves for having the timerity to put a balanced and reasoned view of the causes of Climate Change and Global Warming. When were the alternative facts presented to balance the propaganda the BBC wishes to promote? Do please try to find the time and energy to keep presenting the facts of BBC Bias Niall. although there is no record of him saying this nor of Huey Long making a similar comment, there is a very sound grain of truth in the prediction and it would seem we are increrasingly seeing a form of dictatorial fascism from the left wing of politics. One has only to look at the bias of the BBC to see it or the commentary surrounding the murder of Jo Cox MP or for that matter the stridency; unfounded in fact, common sense, science or logic; of much of the self congratulatory so called Green movement – it is hard to differentiate between such apparent forms of fascism nowadays! I hope you will be minded of these facts as we move towards the General Election on 08-Jun-2017 and that you will hold your public bodies and politicians to account after the election so that the propaganda, stridency and twisting of facts becomes a thing of the past left in the belly of the beast in the EU as Britain moves forward to build a better, fairer and infinitly better informed democratic future on a global basis.